On August 30, 2007 the Minnesota Twins watched the groundbreaking for Target Field. A collapse of the I-35W Bridge a month earlier had postponed the original groundbreaking ceremony. By April 12, 2010 they were hosting their first American League game during the regular season against the Boston Red Sox. This is now the sixth ballpark the club has used in its existence. In 2010, ESPN The Magazine ranked Target Field as the #1 sports stadium in North America, beating out 212 other franchises. The biggest change for the Minnesota Twins is that they now have an outdoor stadium. They spent 28 years at the Metrodome, which was an indoor stadium specifically built for the Minnesota Vikings NFL franchise. Most of the newer ballparks built establishments that serve alcohol within the confines and Target Field is no different such as the Town Ball Tavern. The tavern has a "basketball" flavor since they installed the floors with the same wood that the Minneapolis Lakers played on many years ago. You will also find the largest "soffit" in baseball. If you're not familiar with the term it's basically a huge canopy that helps protect fans from rain, wind, snow, or other harsh weather conditions. 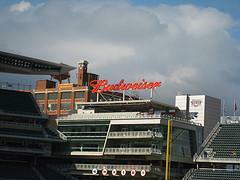 Target Field also has the 4th biggest scoreboard in Major League Baseball. They have also increased the restrooms and concession stands. The most entertaining piece is when “Paul and Minnie” shake hands after a Twins player hits a home run. Plus, the largest pole, which flies the Stars and Stripes, is the original pole used at Metropolitan Stadium. While there isn't a lot of history for Target Field yet; there is still plenty of "firsts." In the opening game the Minnesota Twins defeated the Boston Red Sox 5-2. Jason Kubel was the first player to hit a homerun in the seventh inning off Red Sox pitcher Scott Atchison. However, the biggest first was the Minnesota Twins having a stadium they could call their own. Over the years the club has shared 5 locations with different Minnesota sports franchises. 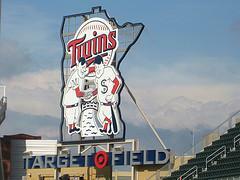 The Twins named their ballpark after the Target Corporation that has been in Minnesota for years. In 2008 they decided to pay the Minnesota Twins for naming rights to the new stadium. There has never been a concrete answer on the exact amount, but most sports analysts believe the cost of the naming rights to be somewhere in the neighborhood of $100 million. In designing Target Field, the Twins wanted a neutral hitting/pitching ballpark. It appears that they were fairly successful in achieving this goal. ESPN ranks Target Stadium slightly as a pitcher’s park (#19 offensively). 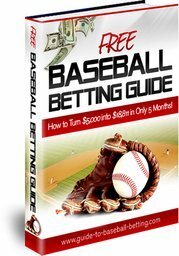 In 2010, Target Stadium surrendered a total of 8.78 runs per game for both teams (16 out of 30 MLB teams). Coors Field surrendered the most runs (10.59).